Rodney VanLaecken, 65, of Sioux Falls, formerly of Letcher, died, Wednesday, June 27, 2018. Funeral services were held Monday, July 9, at the Bittner Funeral Chapel in Mitchell. Visitation was Sunday, July 8 also at the Bittner Funeral Chapel. Rodney Lawrence VanLaecken was born September 9, 1952, in Sioux Falls to Lawrence and Irene (Christian) VanLaecken. He graduated from Letcher High School in 1970, attended Dakota State College and graduated from Mitchell Technical Institute with a Culinary Arts degree. He was employed as a chef for 25 plus years and, most recently, was employed at Wells Fargo Bank. 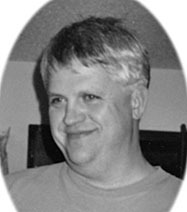 Rodney is survived by his sister, Karen (Rick) VanLaecken-Brinker of Mitchell; an aunt, Nadine VanLaecken; two nephews; one niece; many great nieces and nephews, and special friends, the Asmus Family of Brookings. He was preceded in death by his parents, and step-mother, Mayme (Hoffman) VanLaecken.